In a first to implement skill development, while promoting entrepreneurship, the Union Cabinet chaired by the Prime Minister Narendra Modi, have given its approval for the country’s first integrated National Policy for Skill Development and Entrepreneurship 2015 today. The policy acknowledges the need for an effective roadmap for promotion of entrepreneurship as the key to a successful skills strategy. 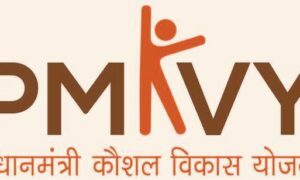 The vision of the policy aims “to create an ecosystem of empowerment by skilling on a large scale at speed with high standards and to promote a culture of innovation based entrepreneurship which can generate wealth and employment so as to ensure sustainable livelihoods for all citizens in the country”. To gain its momentum, the policy has four thrust areas. It addresses key obstacles to skilling, including low aspirational value, lack of integration with formal education, lack of focus on outcomes, low quality of training infrastructure and trainers, among others. The policy further seeks to align supply and demand for skills by bridging existing skill gaps, promoting industry engagement, operationalising a quality assurance framework, leverage technology and promoting greater opportunities for apprenticeship training. There is also a focus on Equity, which targets skilling opportunities for socially/geographically marginalised and disadvantaged groups. Skill development and entrepreneurship programmes for women has a specific focus in the policy. In the aspect of building or generating entrepreneurship for skill-based people, the policy seeks to educate and equip potential entrepreneurs, both within and outside the formal education system. It also plans to connect entrepreneurs to mentors, incubators and credit markets, foster innovation and entrepreneurial culture, improve ease of doing business and promote a focus on social entrepreneurship. 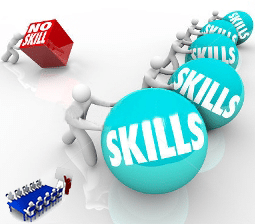 The previous National Policy on Skill Development was formulated by the Ministry of Labour and Employment in 2009 and was reviewed after five years to align the policy framework with emerging national and international trends.